"We take a fresh approach at Accenture Digital, actively encouraging the spirit of innovation, collaboration and experimentation to stay at the forefront of understanding ‘the possible’ for our clients and their users." 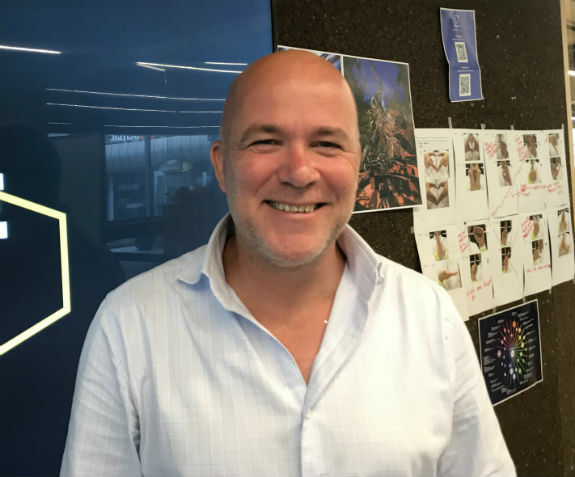 As a Senior Manager, I currently lead the Xperience Development Studios (XDS) in Australia and New Zealand, where we advise, design, develop and deliver customer-centric innovation projects and technology solutions for businesses. I wear many hats, from creating a work pipeline, managing the team and assisting with Digital requests for proposals to strategic growth planning for the Studios. I used to race TVR Tuscan cars in Europe in my free time, but these days, I mainly focus on my children. They are currently four and six, and they regularly inspire and challenge me—with questions about everything. The workplace flexibility I have at Accenture is important to me, as I want to ensure a good work-life balance. "We help microbusinesses in developing countries to better understand their finances—with a great, positive impact on the success of their businesses and their wider communities."